After today, the Jacksonville Jaguars will be saying farewell to teal as their primary color. That leaves the San Jose Sharks as the only team left in the four major sports (MLB, NHL, NFL, NBA) that will feature teal as their primary color. It’s a sad day because teal was a unique color that isn’t used a lot in the professional level and in my opinion, teal was what made the Jaguars unique. It was a product of the identity of the 1990s. Coincidentally, I am a huge Jaguars and Sharks fan. 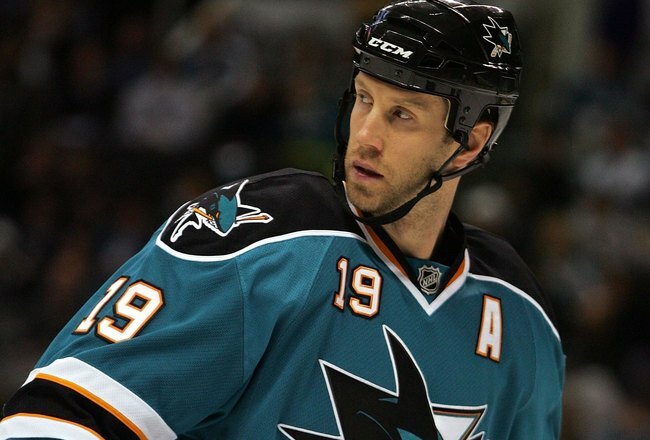 And now with the Sharks as the only teal team left in the professional level, I really hope the Sharks continue wearing teal as their primaries instead of what appears a favoring toward their black third jerseys. ** For some who are wondering, the New Orleans Hornets and Miami Dolphins don’t wear teal. Hornets are an off shade of blue and the Dolphins wear aqua. Sean Carter shows off his new jersey with some chains. Screw the official unveiling. Sean Carter doesn’t roll like that. 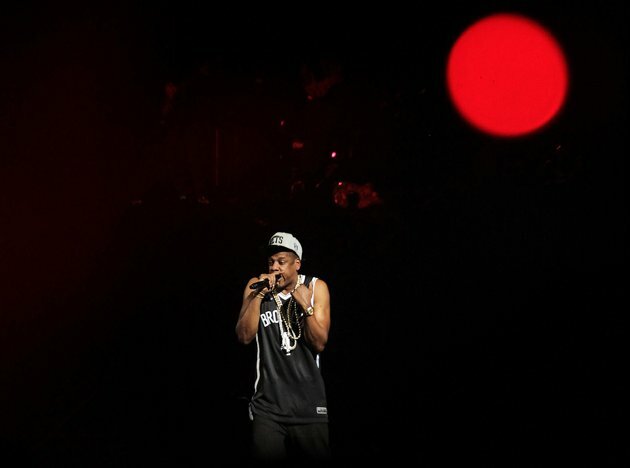 Hova decided to sport the new Brooklyn Nets jersey at the Barclays Center’s grand opening on Friday night. The jersey is exactly as we expected to be. It’s a simple black jersey with Brooklyn written across the front. No complicated patterns or anything. The white jersey is expected to be an exact mirror of this set. This is what the shorts look like. I love this kind of stuff. Give punters some love! On October 7, the Jaguars will officially make black their primary color and by that, we bid farewell to their teal sets. We still might see them as an alternate, but what’s the point? The Jaguars are saying goodbye to one of the best color schemes in all of football. When the team first came into the league in 1995, they were the only team with teal as their primary. With a great balance of black and gold, the Jaguars had a modern classic. Even their previous sponsor for their stadium, Alltel, was nicknamed All-Teal. When they switched to this current set, the gold was de-emphasized and eventually, we’ve now lost teal. I’ve been vocal about my displeasure about this. Quick synopsis: Gus (Clint Eastwood) is an aging baseball scout that has had a great track record and is on to seek a prospect for the Braves in the upcoming draft. His eyesight is starting to fail him and his colleague, a former scout now team executive (John Goodman) suggests that Gus’ overworked lawyer daughter Mickey (Amy Adams) accompany Gus on this scouting trip. There Mickey hopes to mend a broken relationship with her father while she tries to balance her own problems in life. So I came into the theater having high expectations for the movie. After all, I love baseball and I enjoy Clint Eastwood. But after watching this movie, I don’t think this was much of a baseball movie. Baseball was the backdrop to a story that featured more of Gus and his daughter Mickey bonding together for the first time in their lives. But there were some good baseball notions to it. It actually debunked everything “Moneyball” was about — that computers can’t determine a player’s worth. You have to see it, hear and and believe it. And there goes the current state of scouting — which approach works best? After three weeks of the regular season, the regular NFL officials will be back just in time for the beginning of Week 4. This comes as a little surprise to me as I initially didn’t think a deal would get done so quickly. But here we are and we are happy. I am glad that a deal was made and that these officials will be back. The replacements did their best with little experience but it was time for them to go. There was just too much pressure on the NFL to get something done before the next week began. More importantly, if the replacement officials were still around, who knows what kind of abuse they would get from coaches, players and fans. More Hochuli: "We've taken 18 extensive rules test, watched hours and hours of video every week. We've worked very hard to be prepared." If you can’t get enough of the controversy, here were some tweets from Monday/Tuesday reacting to the “touchdown”. The sports world is still in a huff over Monday night’s enema performed on the Green Bay Packers by the NFL replacement officials. While nothing topped the Twitter chloroform applied to the league by Green Bay’s T.J. Lang, here is a sample of Twitter’s work during one of the great sports shams of all-time.